Sometimes real lawyers agree to slum it with the likes of me. “The practice of law is about relationships“. -Me (And Brian Tannebaum, and probably plenty of other people much smarter than I am). About two and a half years ago, Jordan wrote a post called “Should I Start a Law Practice?” It remains one of our most-viewed articles on this blog. Because it’s the end of the year, rather than being creative and thinking of a new and exciting topic, I decided, now concluding my fourth year of practice, and having started as a true solo fresh out of law school, to revisit the topic Jordan discussed back in 2012. I’d intended to write this follow-up to his post way back then, but simply never got around to it. My perspective is different that Jordan’s—partly because I graduated in 2010, when the market had tanked—and partly because I did not work at a firm before I hung my shingle. Here’s my point: You should start a practice if you want to, and if you understand that the practice of law is all about relationships—with your colleagues, with your mentors, and with your clients. I have a law firm because I wanted one, and because I was an abject failure at getting hired after law school. But despite that, our firm keeps chugging today because of the relationships I formed while a law student and in my first years of practice. To start, I am the only lawyer in my family. I did not have any legal connections before deciding to become a lawyer. Back in 2010, I was a new graduate without a lawyer job—which confused my parents, who figured that there were plenty of lawyer jobs and all lawyers made six-figures. I was in the second class of our school to graduate. I’d been an average student. I was working at a local firm as a clerk with no future as a lawyer there—I suspect the owner of the firm kept me on there as charity more than anything else. My grades were ok, not great—maybe top 25% of the class. While I’d made law review, I ended up resigning 3L year. I’d also made moot court my 3L year, but resigned from that as well because I withdrew from appellate advocacy class. I spent my 3L year in our Criminal Litigation Clinic as a certified legal intern at the Philadelphia Defender Association, where I argued felony preliminary hearings and defended people accused of misdemeanors in Municipal Court trials. This clinic literally changed my life, and after it, all I really wanted to do was be a criminal defense lawyer. Unfortunately, when I applied to the Defender Association for a job, they were in the middle of a hiring freeze. When I applied again after the hiring freeze was lifted, I was swiftly rejected after my panel interview. It was November 2010. 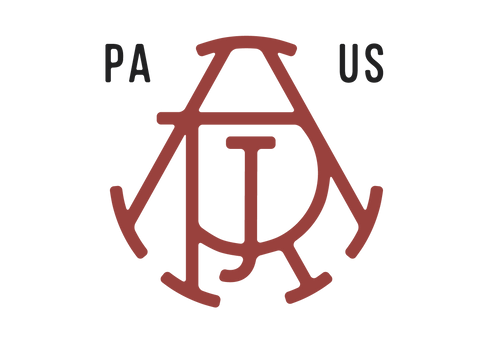 I was an attorney admitted in Pennsylvania and New Jersey, and I was without a job. Luckily, I was prepared. Sort of. I guess I’d seen the writing on the wall a few months prior (but that might be giving me the benefit of 20/20 hindsight), and during my 2L summer I’d checked out Jay Foonberg’s book “How to Start and Build a Law Practice“. I read it cover to cover. Then I signed up for a “How to Start Your Own Law Practice” course during my 3L year, where I explored the rents downtown and prepared a fake business plan for a 3-4 attorney office. I redeemed my Lexis Points not only for a sweet Zojirushi Rice Cooker, but also for a book that explained how to grow a practice as a freelance/per diem attorney In July, after graduation, I purchased the URLs “LeoMulvihillLaw.com“, “TheFishtownLawyer.com” and a few others. It was about then that I met Jordan Rushie. At the time, I was a member of a national lawyers listserv. One day, I saw post from a person who claimed to be a young attorney in Philadelphia considering leaving his firm and going into solo practice. Turned out this guy lived three blocks away from me, and I’d never met him before. That was about to change. So I had an office. But no clients. No website. No money. I also had nothing to lose. Fast forward a few months. It’s now November 2010, and while I did not get a job at the Philadelphia Defender’s office, I was invited to participate in their new attorney training with the new Defender class. For the next few weeks, I was a sponge, soaking up whatever the most respected trial and appellate attorneys in Pennsylvania had to teach us. Then I got a call from a judge I’d interned for during my 2L year while his law clerk was out on maternity leave. Deal, indeed. 2010 came to a close. 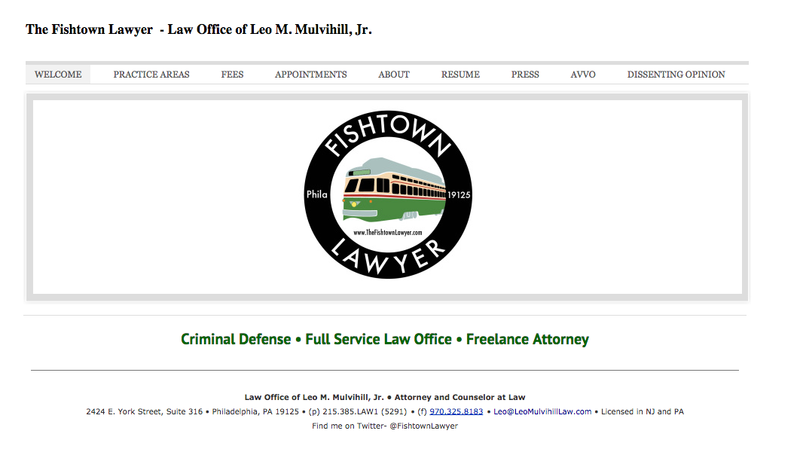 Come 2011, I opened “The Law Office of Leo M. Mulvihill, Jr.” So there I was, a secretary performing law clerk work while running my part-time practice at night out of an office I got for free. Jordan joined forces with me in 2013. Our site now looks much better. Our practice has grown, and we’re moderately successful. While we’re not driving Porsches, and while we’re not famous, we’re paying our bills, putting food & beer on the table, and serving more clients every month. Why Are You Telling Me All of This? Jordan’s post really focused on the mechanical nuts and bolts of starting up a law firm—computers, software, tips on books to read, etc. He devoted an anecdotal section to whether your social network is large enough to justify opening a solo practice (just read the post. It’s worth it). Jordan’s point is that one ought to leverage their social networks into getting more business. When I started my practice, I didn’t have a large social network of collegial attorneys because I was brand-spanking new. So what did I do? I put myself out there. I joined the local bar associations, went to young lawyers happy hours, attended lunchtime classes with established members of the bar, and introduced myself to them. I also volunteered my time for causes I thought were important. Does Volunteer Work Really Help Grow a Practice? It can. In November 2011, 14 Occupy Philadelphia protestors were arrested in Wells Fargo bank for speaking out about predatory lending practices. Our local National Lawyers Guild chapter sent out a call to action asking for lawyers interested in criminal defense and free speech to volunteer to represent the 14 protestors at trial. On a cold winter night, I attended a meeting at our local Friends Center with some of the best trial lawyers in the city—including Larry Krasner, Paul Hetznecker, and Jonathan Feinberg —and I joined the defense team. Frankly, I had no right to be among the ranks of these accomplished defense lawyers. At the time, I was admitted barely a year and had only a number of Municipal Court trials under my belt. The only thing I had was a fighting spirit and a strong sense of injustice. These guys had tried more juries than years I’d been alive. But over the months, as we prepared for trial, I watched and learned. I got to know the juggernauts of the criminal defense bar—and they even remembered my name! When time came for trial, I felt ready, but knew I had a lot to learn. So I watched their opening statements intently, paid close attention to their cross-examination, and admired their zeal and command of language. I was inspired by their creativity in invoking images of protests past and their clever use of rhetoric. I gained a year’s worth of knowledge in that one week of trial. And even more importantly, though, I forged professional relationships with every attorney on the defense team. They have answered my questions about practice and procedure, referred me cases where potential clients couldn’t afford the fees they (justifiably) command, and have kept me informed of protests about important social justice issues. I went into the case expecting to defend my client and learn from veteran attorneys. I’ve gained much more than that. Furthermore, if you think you have anything interesting to say, you should also blog. Blogging and social media can help your practice. How Much Money Have You Made From Blogging and Social Media? I’ve broken bread with the internet’s most prolific, snarky, and intelligent criminal justice writer, Scott Greenfield. I even call him from time to time for help with my issues. When I was appointed on my first Attempted Murder case in 2013, I had a minor freak out. Scott, sage that he is, put things in perspective for me and talked me down off the ledge. Because of Scott, I found renewed confidence in my ability, and I handled the case appropriately. He does not suffer fools gladly, so I appreciate his patience with me. I consider Scott a true mentor, and nothing I say or do could repay what he’s done for me. Not even sending him a Maple Bacon Doughnut. 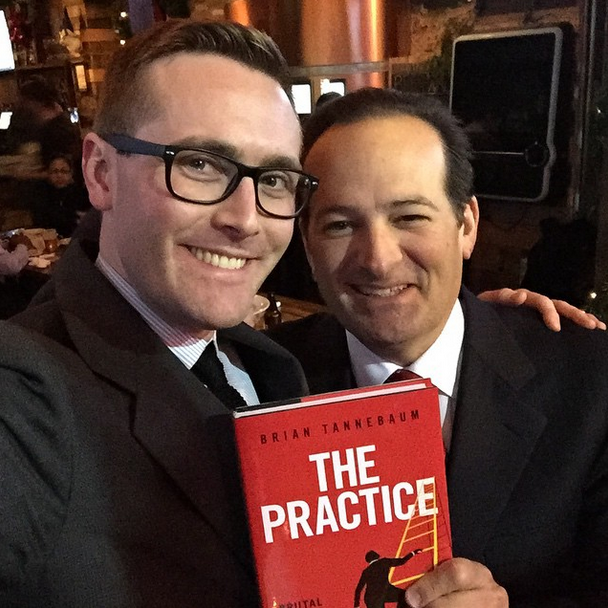 Earlier this month, infamous blogger Brian Tannebaum kindly accepted my invitation to travel to Philadelphia to speak about his new book “The Practice” to a lunch panel sponsored by the Philadelphia Bar Association Young Lawyers Division. A podcast of his talk is available here, and it’s worth the listen. Buy his book while you’re at it. Jordan previously reviewed the book here. If you ask nicely, Brian might even autograph one for you. Dspite his prickly online reputation, Brian is one of the kindest, most generous attorneys I’ve ever met, and I was honored to give him a walking tour of downtown Philadelphia. When I had a question about my first sexual assault case, I reached out to Gideon, who walked me through a complicated fact pattern and helped me spot some issues I’d not previously noticed. I’d not have met him if not through the blawgosphere and Twitter. There are plenty of other people whom I’ve met through blogging—and my apologies for not mentioning them all here and now, as this post is already approaching “tl;dr” territory—but the point is this isn’t a way to get rich, but rather a way to enrich your practice and your social network. Don’t start some stupid sham blog where you pay some marketing company to do it for you. Either write for yourself because you want to, or because you have something interesting to say. No one cares if you simply repost news articles. If you write things that people care about, people will start asking you questions, and you may even get a referral or two. But don’t count on it. The last thing I have to add is this: you need to build relationship with your colleagues. Last year, I noticed that our Young Lawyers Division Executive Committee was composed almost exclusively of corporate attorneys at big firms. There were spots open. I ran. I won in a hotly un-contested election. There is a reason I ran, and it wasn’t fame and fortune. Now I am the only criminal defense lawyer sitting on the Executive Committee. I am one of maybe two or three people on solo/small firm practice. Why do you think I did this? There are many reasons. 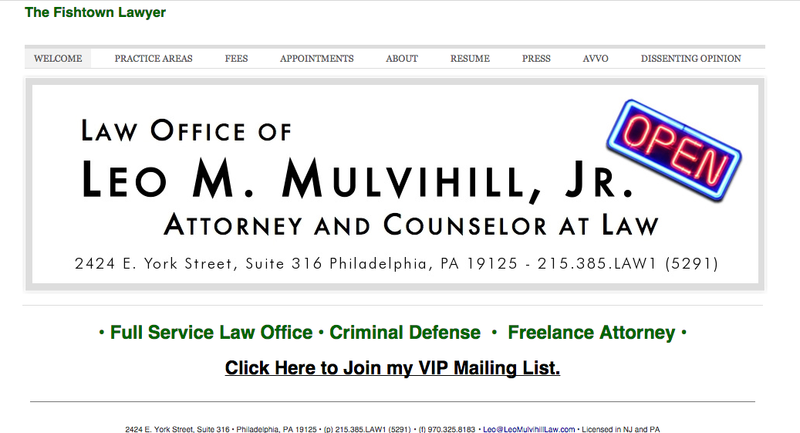 First, I found the Philadelphia Bar Association very helpful to me as a law student and young lawyer. 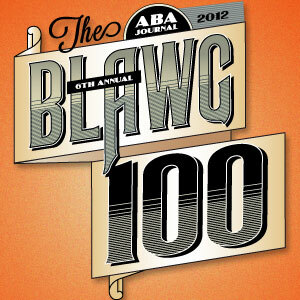 I attended countless events and met scores of young attorneys, many who still help me out today. This is my opportunity to use my experiences as a solo/small firm lawyer to tailor programming specifically for younger lawyers who may go into solo & small firm practice directly out of school. As part of this agenda, a few months ago, I moderated an event for the Philadelphia Bar Association Young Lawyers Division titled “Considerations Before Starting Your Own Solo Practice or Small Firm”. A podcast of the panel is available here. I gathered a number of my colleagues from Philadelphia, including Marni Snyder, Brian Collins, Vern Anastasio, and Stephanie Mensing—each of whom had a separate path to their respective careers—to discuss their careers in solo and small firm practice. (If you have 40 minutes, it’s worth a listen). Marni Snyder is also a former defender, who after a few years with the office left to join a civil litigation firm. She hated it, and then left to start her own practice. I also met her through the Occupy Philly case, and she and I stay in constant contact, looking to help each other however we can. I asked these people to volunteer their time to talk to law students and budding lawyers about real-world solo/small firm practice, and they were all happy to do so. I am indebted to them for their willingness to help share their knowledge. They have reputations. And you know what? As a criminal defense lawyer, I’m in court nearly every day, and the defense bar, while substantial, feels almost like an extended family. As you all should know, every person accused of a crime is entitled to defense counsel. Normally, the Defender Association is appointed in these cases. But just like all other firms, they sometimes have conflicts, which means that the Court appoints private lawyers to represent indigent clients who the Defenders can’t represent. Usually, the Court appoints attorneys based on the “wheel”—how long has it been since any particular attorney got a case. But sometimes, a conflict arises relatively soon before trial, and a Defender seeks out an attorney whom they know to be competent to take the case from them. And that’s how on November 16, 2014, I was appointed on an attempted murder case that was scheduled to begin a jury trial on December 15, 2014 (FYI, we beat the lead charge). Or sometimes, previously appointed counsel can no longer represent a client for whatever reason, and a judge must make a decision to appoint an attorney from the bench. You think I have ever said “No, Your Honor” when a judge asks me to accept an appointment? Then, when I come into Court prepared for trial, only a month or six weeks after that appointment, you think that makes an impression upon the judge and the prosecutor? Remember the Occupy Philly jury trial I volunteered for? In my closing arguments, I let the jury know that this case was special for them, and special for me too—and not just because this was my client’s day in court—but because the 14 people assembled there composed my first jury. Ever. After trial, the judge congratulated the defense, and then said to me: “Mr. Mulvihill, I am simply amazed that this was your first jury trial. I would have thought you had many under your belt. Well done.” My ego sufficiently, stroked, I felt pretty dammed good for a few weeks after that. But an ego doesn’t get you business. Two years later, that same judge—facing the need to find substitute appointed counsel in an appeal—asked me to accept the appointment. What do you think I said? I Thought This Post Was About Whether I Should Start a Law Practice? Can you start a law practice? Sure, anyone can. Get a laptop, buy a URL, hang a shingle. Get malpractice insurance, because you’ll be a malpractice factory your first year out. But “should” you? Let me answer your question with another question: Can you manage your relationships? Are you ready to take some hits to your bank account, and ego, and credit, and nevertheless come back swinging? You’re not a special snowflake. No one is. And while some people get really lucky at this law thing, the most successful and respected lawyers put long, hard hours into their job. Auf Wiedersehen, 2014. Thank You to Everyone Who Made This Year the Best Year of My Life. Invoked lyrics from Vanilla Ice’s “Ice Ice Baby” in a closing. In another five years, I might actually become a good lawyer, but I need a few more seasons until I can claim that title. 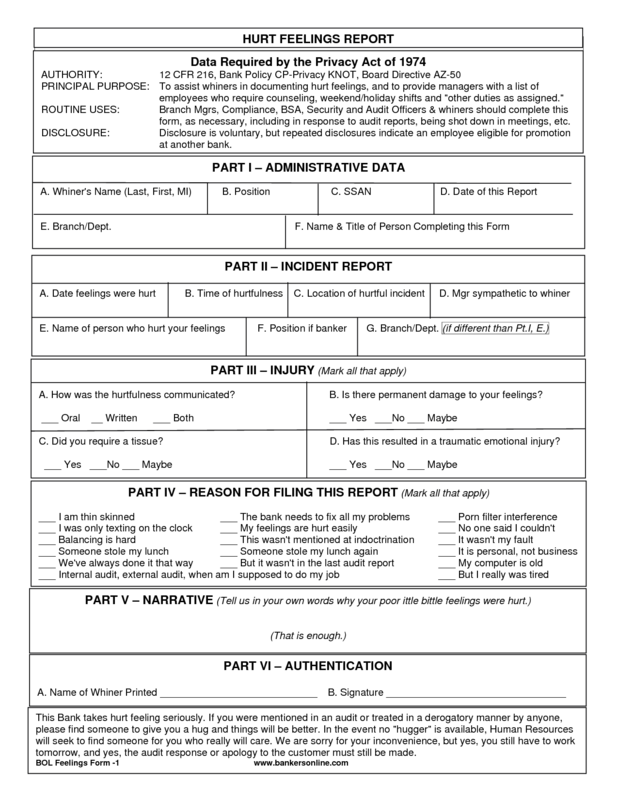 Please fill this out in triplicate—typewritten ONLY! And fax it to my office. I’ll make sure it makes it to the circular file. (Maybe I’ll even make SuperLawyers). This entry was posted on Wednesday, December 31st, 2014 at 7:34 AM and is filed under Attorney at Law, Criminal Defense, Criminal Justice, Criminal Law, Fishtown, Law, Law School, Occupy Philly, Philadelphia, Philly Law, Social Justice, Social Media, Solo practice, The Practice, Young Lawyers. You can follow any responses to this entry through the RSS 2.0 feed. You can leave a response, or trackback from your own site. Leo – this is an excellent blog. Came across it recently and really enjoy reading the posts. Interesting and entertaining. Congrats on the success you’re having w/ your solo practice. Thanks Chris. I do my best to share whatever small kernels of wisdom I can. Great post, Leo. I’ve been a big fan of you guys for a couple of years. I just graduated this past May, and am in the process of hanging a shingle here in Jersey. I’m looking to be a criminal defense attorney as well. This post was just what I needed. Thanks for showing that a scrappy lawyer can have a shot at succeeding. Out of curiosity, what free website builder did you use? Weebly. I can’t recommend it now. Everything about it changed since I first used it. Leo – I have opened a two-lawyer office and one-lawyer office, both after working at a mid-sized law firm. I’ve been through much of what you experienced. I refer to the term “pay it forward.” I have helped a number of lawyers start their own practices by sharing the mistakes and good decisions I have made. You’re on your way to doing the same. BTW, I’m originally from the Philly area and have lots of friends and family up there.